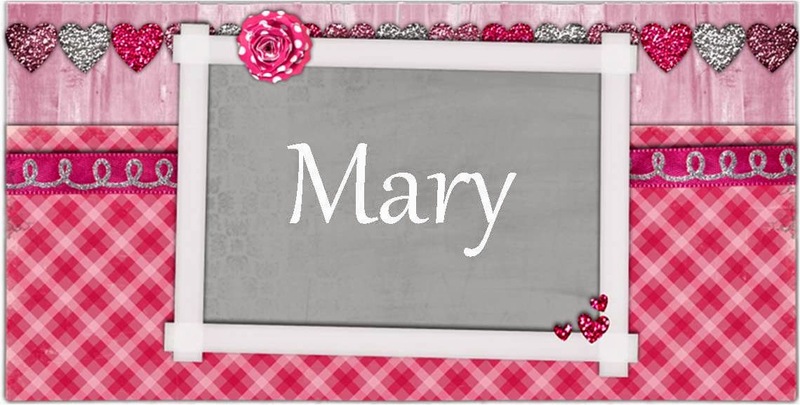 Mary's Crafting Corner: Just Me! Last night my son came out of his bedroom laughing. He had been getting his stuff ready for school for today and part of getting ready he opens up his assignment book to the current week so all he has to do is grab it out of his back pack when he needs it. What he was laughing at was it seems that his caseload manager (who he has had for study halls since his Freshman year... he is now a Junior) wrote on Thursday of this week that it was her birthday....it actually said "Mrs MacDonald's 25th birthday" with a great big smiley face after it. He had no idea that she had done this or when she had done this. He just thought it was neat that she had taken the time to get a hold of his assignment book this year and write this with out him seeing. So he thought it would be fun to take her in a birthday card on Thursday and asked me to make one for him to give her. We are pretty certain that it isn't her 25th birthday (of course we could be wrong) but to keep up with the chuckle we thought it would be fun to add "25" to the card. So this is the card I came up with for him to give to her. I used the sketch from Stampavie & More and paired it with The Paper Shelter's Just Me digital stamp. I started with a square white card base. I added pink pearlescent chalk all around the edges. I cut a piece of pink plaid patterned paper slightly smaller than the base and added pink pearlescent chalk to the edges. 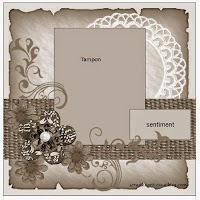 I punched a strip of white card stock using a lace border punch, added a piece of pink dot patterned paper and a piece of pink ribbon lace and then added this to the bottom of the card. I colored the image using Spectrum Noir pens. I decided to cut the image out in an oval instead of the rectangle in the sketch. I added pink pearlescent chalk to edges before backing it in pink paper and white card stock. I cut around the image using scallop scissors and then added a little of the pink pearlescent chalk to the scalloped edge. I punched a piece of white card stock using a real estate punch and then made it slightly smaller by cutting it in half using one side of the same punch. I stamped the number 25 onto it and added pink pearlescent chalk to the edges. I back that in pink paper. I then stamped the sentiment "happy birthday" directly onto the edge of the image. To give the entire card a shiny look I lightly added white pearlescent chalk over all the open spaces. I added 3 pink flowers at the bottom of the image and 2 more at the top. I added a pink gem to the center of each flower and then 3 more to the empty corner. I added a mini pink gem to the purse. So very cute! Thanks so much for playing along with us at Inspiration Destination. Very pretty card and I love all the pink. Thank you for joining in the Paper Shelter Challenge and for using one of our digis this time. Hope to see you again. Super cute card - love the LO and pretty detailing. Very pretty! Love the pink and the layers! Thanks for joining us at The Sisterhood of Crafters! Really sweet card! I love all the pink! Thanks for playing along with us at Wags 'N Whiskers. Thanks for joining us at Stampavie and more Challenge! Beautitul card. I'm sure she will love it. Thanks for joining the Sisterhood's "Monochromatic" challenge.